On 11 June 2016, coinciding with the opening of Manifesta 11 and Zurich Contemporary Art Weekend, Fondazione Merz will present an exclusive screening of Egyptian artist Wael Shawky's new film Al Araba Al Madfuna III at Kunsthaus Zurich. 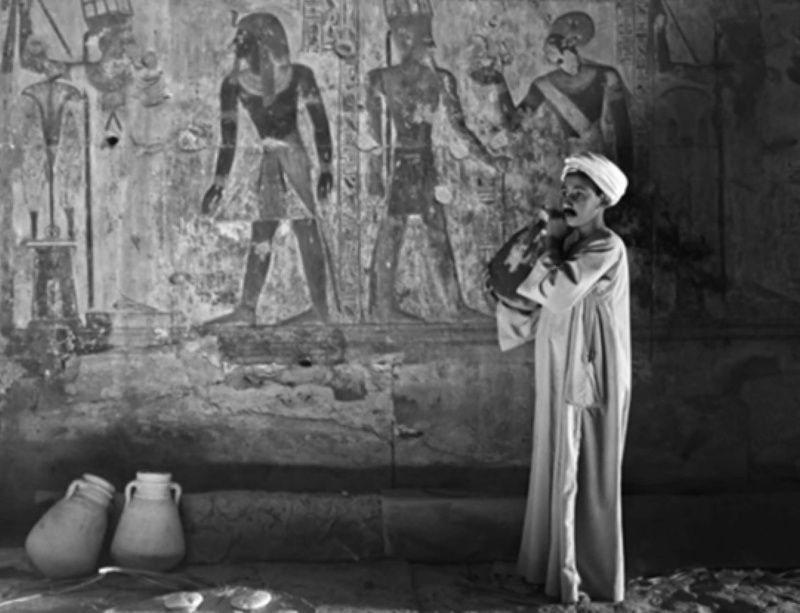 Al Araba Al Madfuna III, which has been commissioned by Qatar Museums, was filmed in the temples of Seti I and Osirion in the archeological city of Abydos in Egypt, which is now the village of Al Araba Al Madfuna. Shawky, recipient of the the first Mario Merz Prize in 2014, has been working on this three-part film since 2012. Inspired by the parables of Egyptian novelist Mohamed Mustagab, the films recount poetic myths, paying homage, rather than mere lip-service, to the important narratives of yesteryear. The third and final instalment of the film, which makes its premiere in Zurich, draws from the artist's journey to the region, when he met local people looking to find the secrets of their ancestors. Observations of people digging underground tunnels in an effort to discover treaures of the former King are used in the film to explore the relationship between the metaphysical and the real, told through the writings of Mustagab and experienced in the daily lives of the people in Al Araba Al Madfuna. The screening will be followed by a conversation with the artist and Abdellah Karroum, curator of Shawky's upcoming solo exhibition at Fondazione Merz in Turin, Italy, which opens on 3 November 2016 and runs until 5 February 2017. The exhibition in Italy incorporates all three films, which will be presented alongside drawings and large-scale installations. Architectural and set designs will be specially created for the exhibition, generating an original and theatrical atmosphere that draws from the historical, literary and cinematographic references featured in Shawky's work. Please click here for more information on the screening of Al Araba Al Madfuna III in Zurich and here for more information on Shawky's upcoming exhibition at Fondazione Merz in Turin.